The course covers the main categories of spirits and liqueurs as well as the influences of production methods on the different styles available in each category. Students will be introduced to our Systematic Approach to Tasting Spirits while also exploring the use of spirits in cocktails. 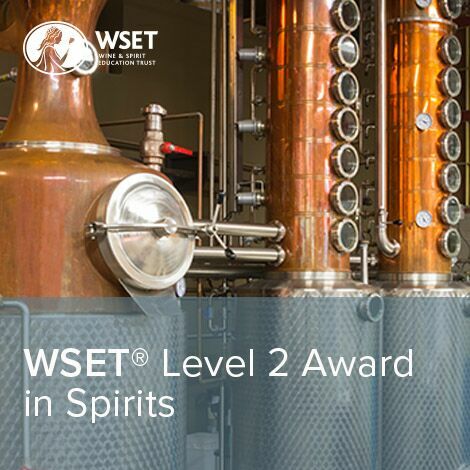 The product knowledge gained on this course will give a significant advantage to those working with spirits in both on- and off-trade alcohol. 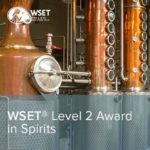 The Level 2 Spirits online course is a 5-week program. An online tutor guides the WSET online classroom. Weekly topic can be viewed by logging into the online classroom anytime during the week (there are set start and finish dates for each week, but no set class time). At home, tasting activities are also provided to familiarize students with a systemic approach to tasting at an intermediate level. When the course is over, students arrange with American Wine School to take the exam in person at an American Wine School location. The Level 2 Online Learning course fee includes study kit and exam fee. The total cost is $495 per person. All exams take place in Chicago, IL.